This listing is for 30 Rose Soaps perfect for a bohemian or rustic themed event including baby shower, bridal shower, wedding, birthday, bachelorette party, christenings and baptisms. 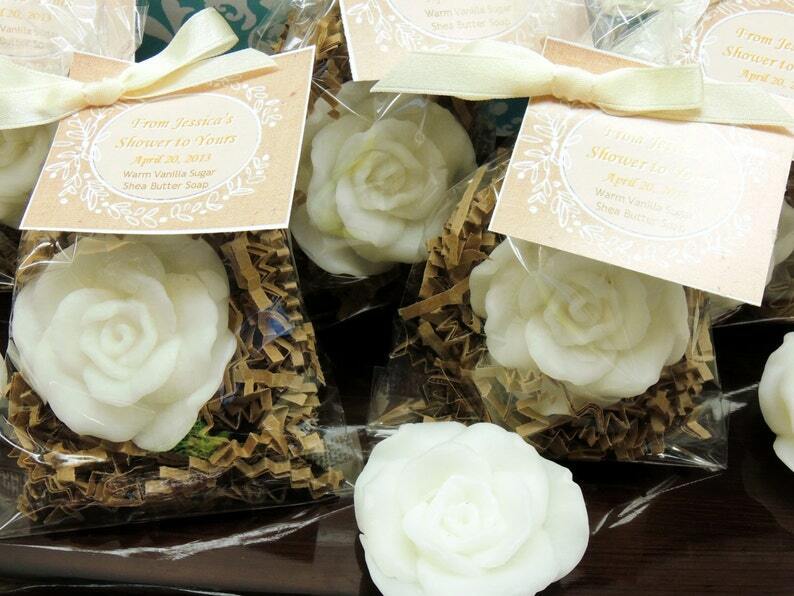 Rose Soap Favors in your choice of color and scent. Each favor includes one soap. Soap measures apx. 2 1/2" in diameter and weighs apx 1 oz. We can make these soaps in any colors. Choose one color and scent per order of 10. Not only do these look beautiful, but each soap is beautifully scented and made from our luscious lather shea butter moisturizing soap base and will leave your skin soft and moisturized. 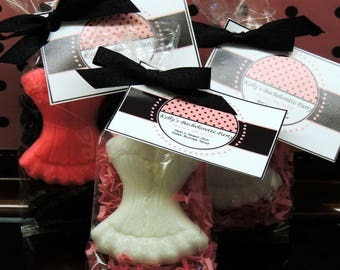 I love my soap favors ! They turned out just as we discussed. I can't wait to share them with my shower guest. Thank-you so much for a job well done.